Ever since their introduction at the beginning of the year, the new transitional care management (TCM) codes have caused confusion. The Getting Paid blog described the new codes when they were first announced last fall. 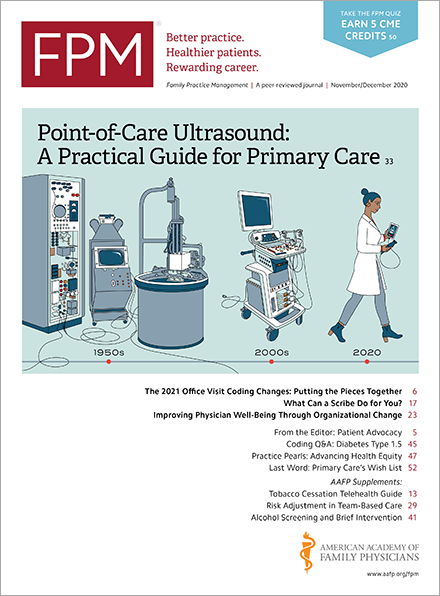 But the questions have continued, and the codes are getting additional attention after the CPT Editorial Panel clarified in January that transitional care management involving new patients, and not just ones that a physician has seen within the previous 12 months, could be billed using the TCM codes. Q. When should I bill for TCM? A. You should submit your bill on the 30th day after discharge. TCM covers 30 days of management services with one evaluation service bundled into the code. The date of service on the claim would be the 30th day after the discharge. Q. What happens if the patient is re-admitted before the 30 days are up? A. The face-to-face visit would become the appropriate level evaluation and management code for the service that was rendered. You would restart your 30 days of service on the TCM once the patient was discharged. Q. Does a discharge visit count as the post discharge contact? A. No, a discharge visit does not count. The initial contact must be made after the patient leaves the hospital. This is to make sure that the patient has the support necessary until they have their face-to-face visit. The initial contact can be phone, e-mail, text, or face-to-face. It can involve the patient and/or the patient's caregiver. Q. If the patient needs an unrelated evaluation and management (E/M) visit during the 30 days can I bill for this? A. Yes, although there are some restrictions on what you can bill, such as anticoagulation management and home health care certification. We’ve yet to hear how these codes are getting paid since the earliest billing date would have been Jan. 30, 2013. We are also waiting on the Centers for Medicare & Medicaid Services (CMS) to release guidelines on the codes, which we expect to receive by the end of February. AAFP has created a form to help you document the requirements of TCM visits and made available for download a list of frequently asked questions.